I’ve worked for the Texas Vital Statistics Section for about a year and a half now. 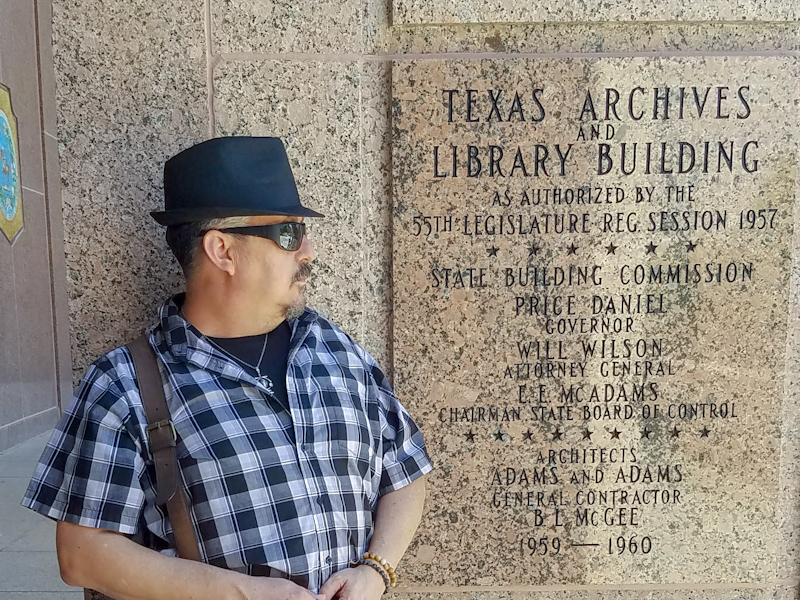 Working in the office that houses all of the birth and death certificates issued by the State of Texas since 1903 introduced me to the existence of the Texas State Library & Archives Commission. We kind of work hand-in-hand with them, though they have other historical documents relating to Texas History. While our records are secure, private and confidential, from what I hear the records in the TSLAC are open to the public. I read online that there are rules that must be followed in order assist in the preservation of the documents. I’m certain that there are clean white gloves involved. (Thrilling!) But, all of this is just from what I’ve read, and a slightly overactive imagination. The fact is I’ve never visited. There’s no particular reason I haven’t. I work M-F 8-5, but I do get days off. If I really wanted to visit (and I really, really do) then I could have made time for it. And, I shall. I have a rough plan in mind to visit this place, the LBJ Library and the new library in downtown Austin. That sounds like a delightful field trip. A little over a week ago I was around the Capital at the Texas Book Festival. It was a headrush of an afternoon, but as we walked there we passed by the Texas Archives and Library Building. Alas, they were closed. We thought they might be open to host authors, but they were not. We peeked in the windows. I read the inscriptions in the granite on the buildings. I got my picture take outside, but I still have not been able to go inside. So close I could almost smell the old paper. Some day I will go in and discover the histories that they keep of our great State of Texas. I will learn, and I might never leave. Some day.